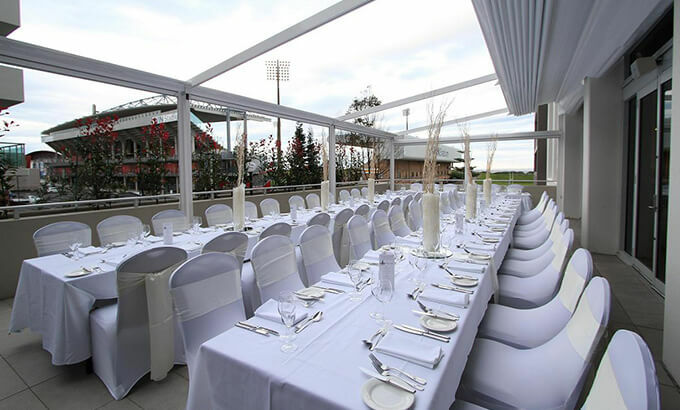 Sage Wollongong offers 13 rooms and event spaces, all with retractable sound proof doors, and separate pre and post function areas to suit any type of event you have. 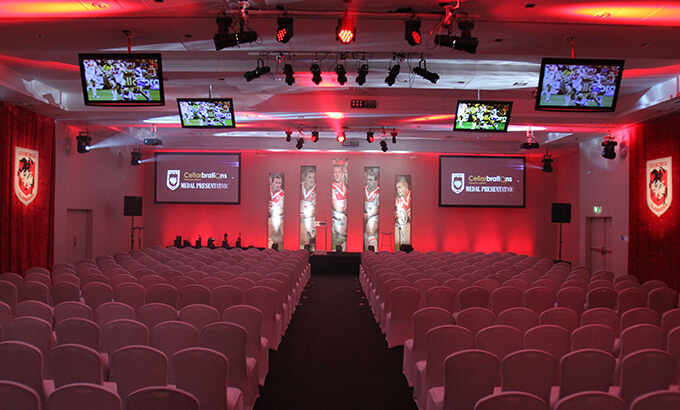 We ensure the utmost care for your guests from the moment they arrive and offer complimentary access to high speed Wi-Fi, networking spaces, access to outdoor breakout areas, our gym, pool and even our standard AV package. 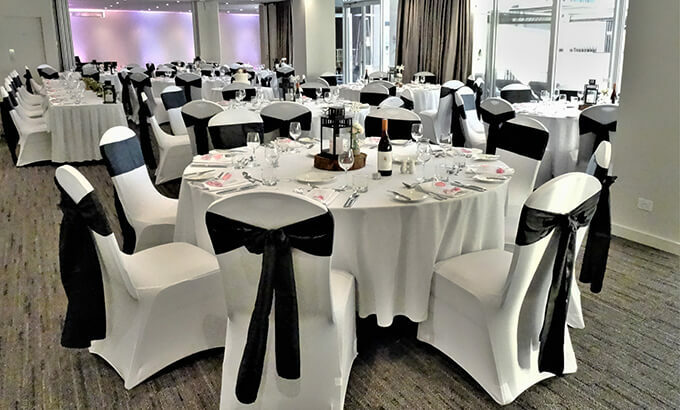 Talk to one of our friendly coordinators to personalise your next event with us. 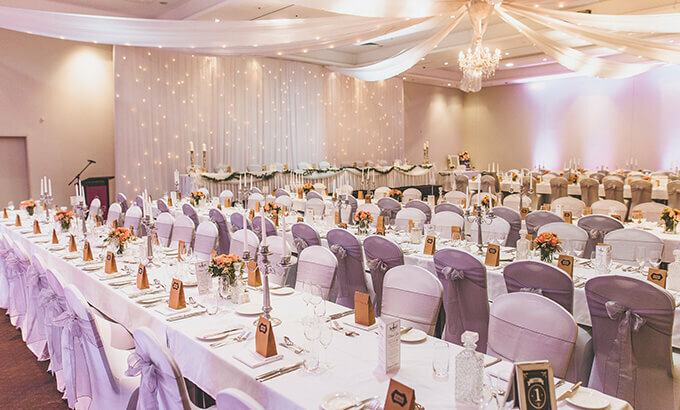 The Grand Pacific Ballroom is the ideal room to make a spectacular entrance. 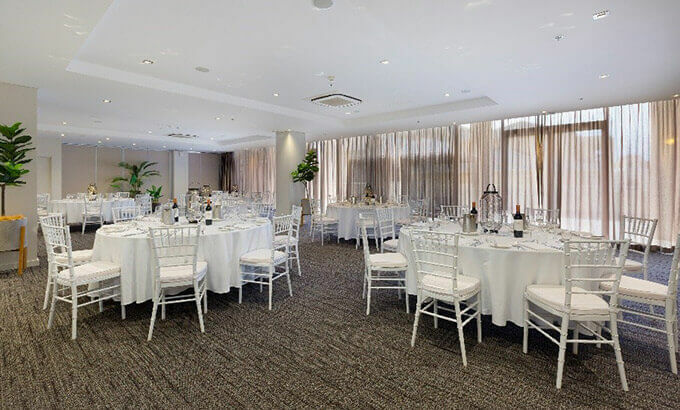 With 4.5m high ceilings and floor space to host 280 people in banquet seating, this room is all about having the luxury of space for you and your guests. 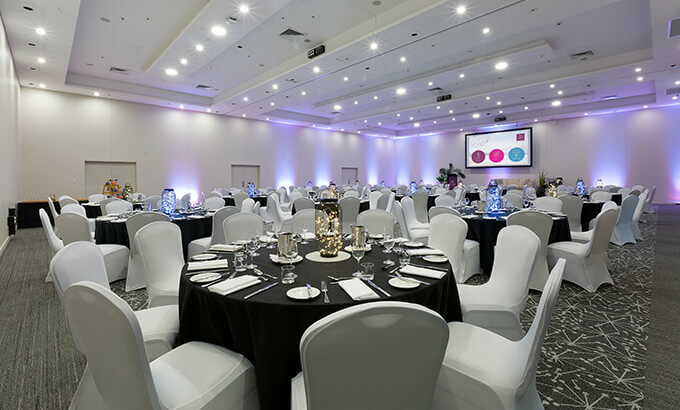 Ideal for conferences, larger celebrations, gala events, weddings or anniversaries, the Grand Pacific Ballroom is highly adaptable. Soundproof walls allow the room to divide into 3 sections, perfect for breakout rooms or separate theming. 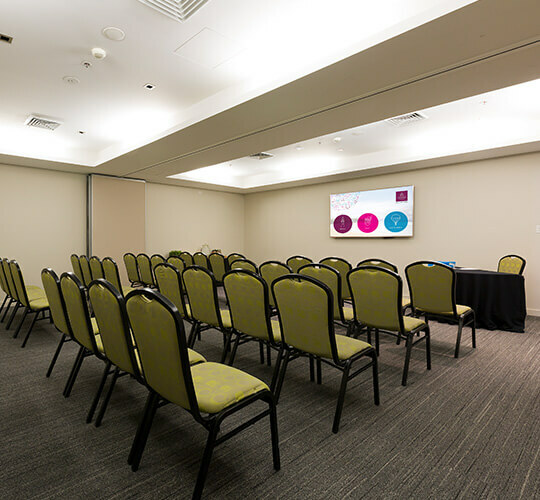 The Grand Pacific Ballroom also comes with access to the 90m² pre-function foyer ideal for hosting pre-event breaks or tradeshow stands. The elegant Waters Edge room is full of natural light, featuring north facing floor to ceiling windows that overlook the pool and terrace deck. The room also has exclusive access to the West Terrace providing you and your guests the option to enjoy fresh air and an outdoor space. 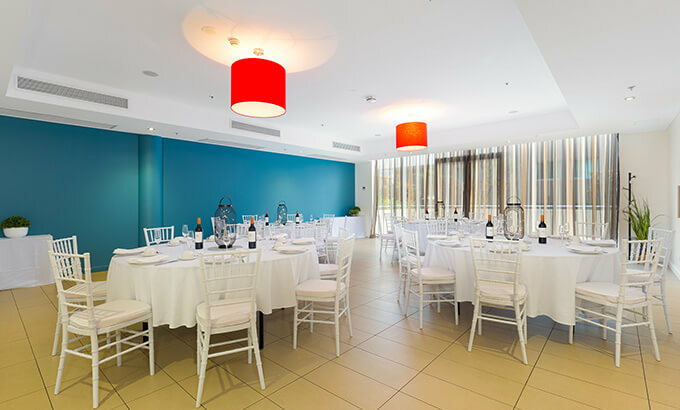 The Waters Edge room can also be subdivided with soundproof walls for utilisation as a breakout, dining or dance floor area. 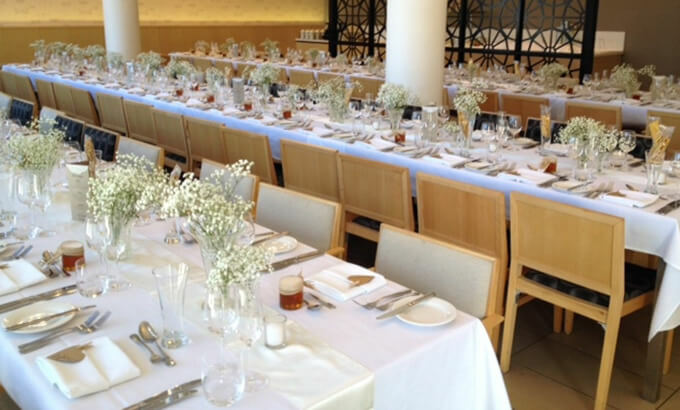 Filled with natural light thanks to double story floor to ceiling windows, the Five Islands Room is ideal for weddings, parties or any social event. 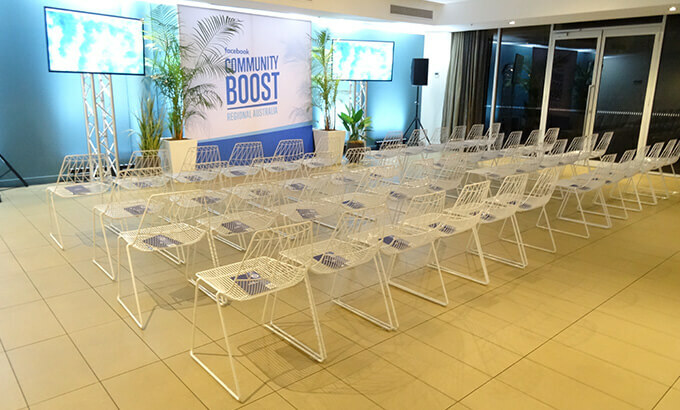 This room also provides access to our terrace, offering an additional 70m² of outdoor dining space overlooking the South beach precinct. 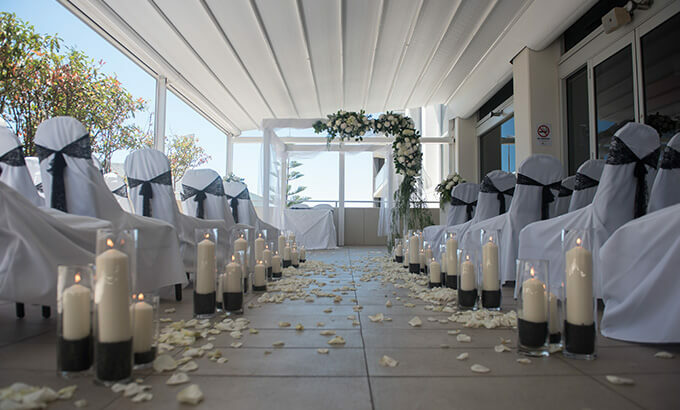 Our terrace is equipped with a retractable roof allowing for uninterrupted ceremonies and celebration 365 day a year, regardless of weather. 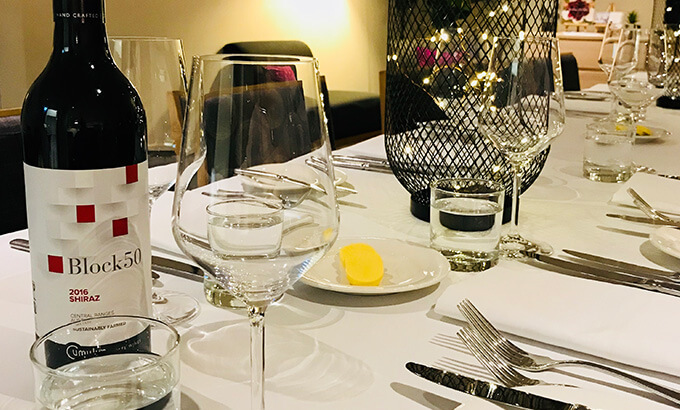 Our Private Dining room is ideal for smaller more intimate celebrations or meetings, also with the benefits of natural light and a dedicated outdoor terrace. 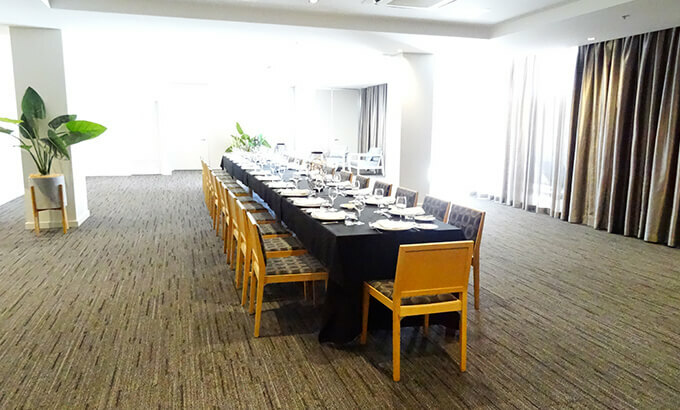 This bright and airy room has been our guest’s top choice for high teas and social gatherings for up to 50 people. 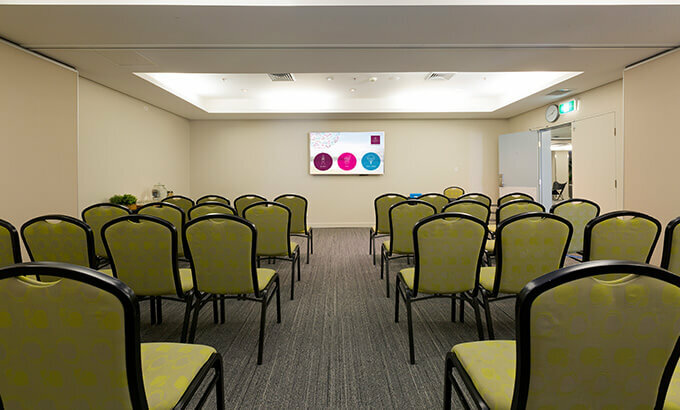 The Escarpment purpose-built meeting room is best suited for training, lectures or network events and comes with a complimentary data projector, flip charts and whiteboard. 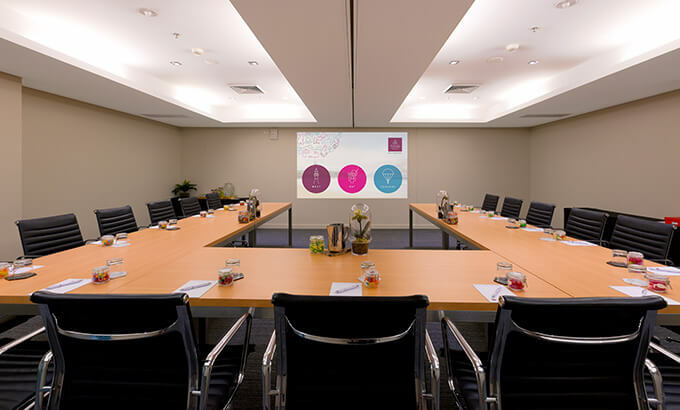 The Escarpment room offers a soundproof dividing wall, ideal for a breakout area or two create two separate boardrooms if required. 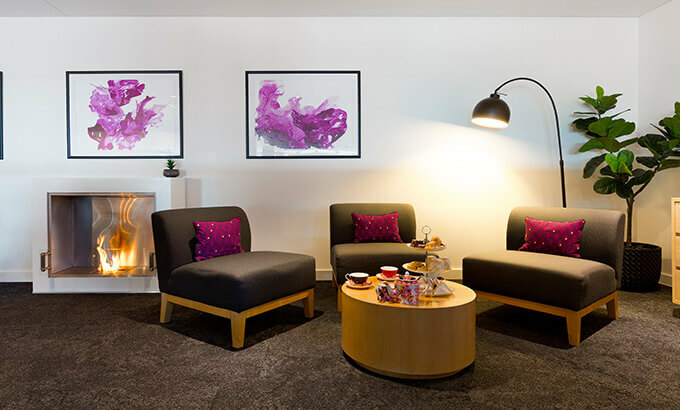 This room also comes with access to the communal meeting foyer featuring lounges, desks and our outdoor terrace. 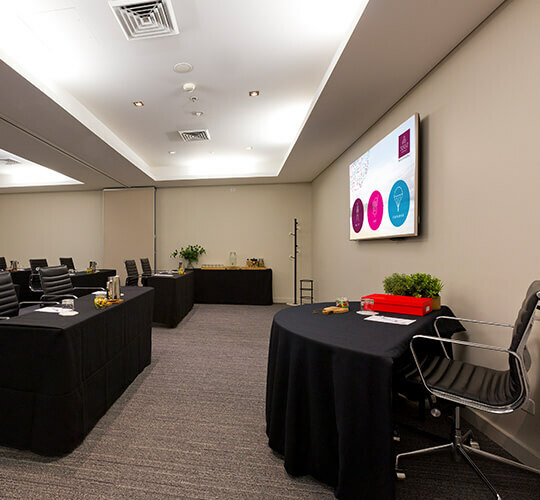 The newly refurbished Foreshore room is purpose-built for board meetings, training, lectures or network events. 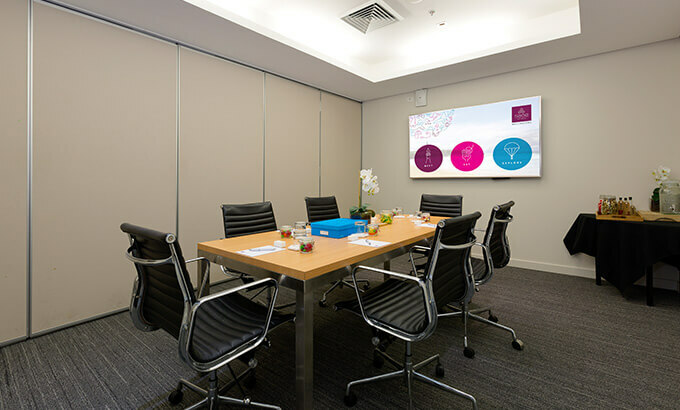 Featuring a large 75 inch TV, your presentations have never looked so clear. 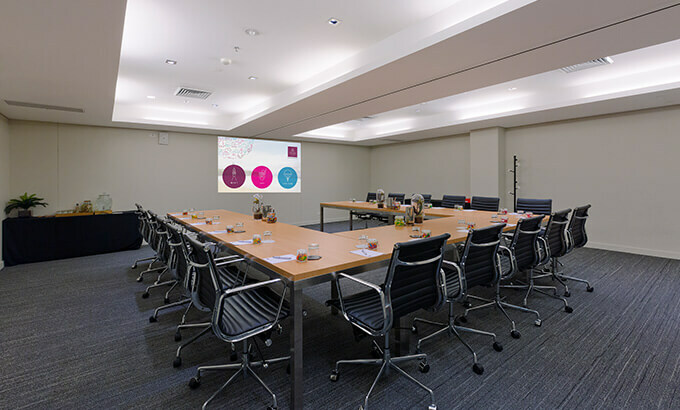 The Foreshore room has a soundproof dividing wall, allowing the room to be dived evenly if required, ideal for breakout rooms or creating two separate boardrooms. 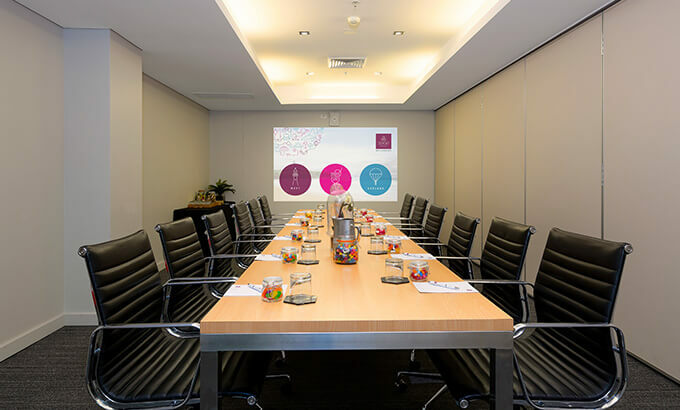 This room also comes with access to the communal meeting foyer featuring lounges, desks and our outdoor terrace. 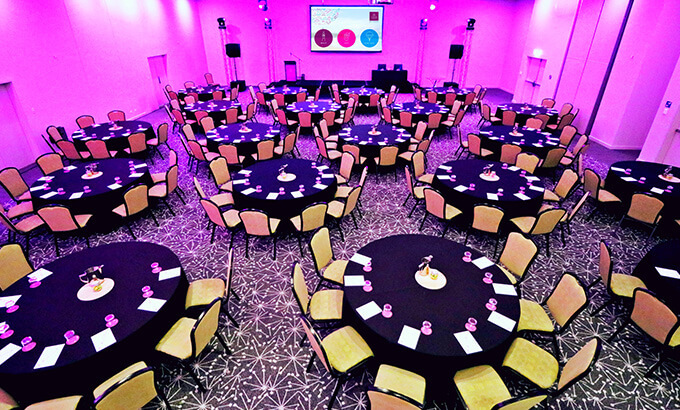 The newly refurbished Sublime room is purpose-built for board meetings, training, lectures or network events. Featuring a large 75 inch TV, your presentations have never looked so clear. 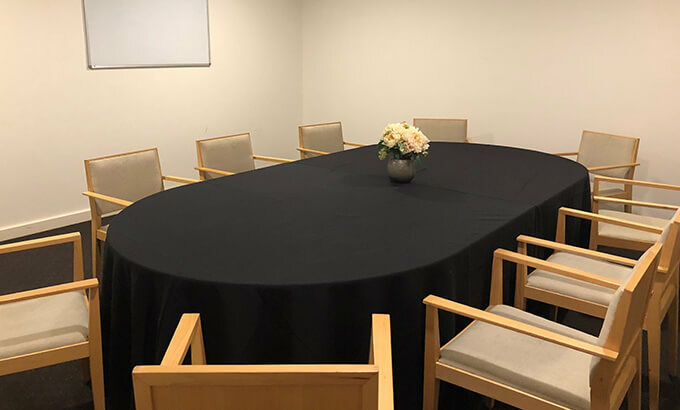 The Sublime room has a soundproof dividing wall, allowing the room to be dived evenly if required, ideal for breakout rooms or creating two separate boardrooms. 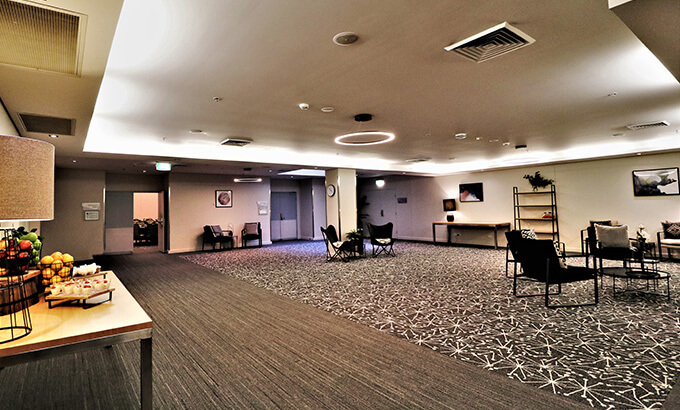 This room also comes with access to the communal meeting foyer featuring lounges, desks and our outdoor terrace. 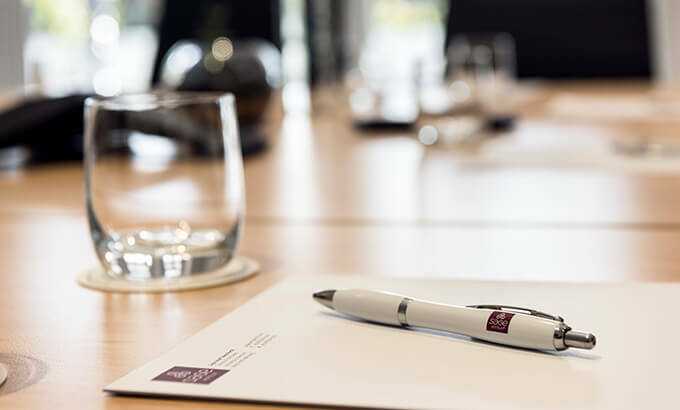 The Sage Boardroom offers an economical purpose-built meeting space in our hotel for smaller meetings. Featuring a flat screen TV this room has everything you need to meet and achieve your tasks. This room also offers you and your guests access to The Loft featuring lounges, fireplace and a TV for breakout time. 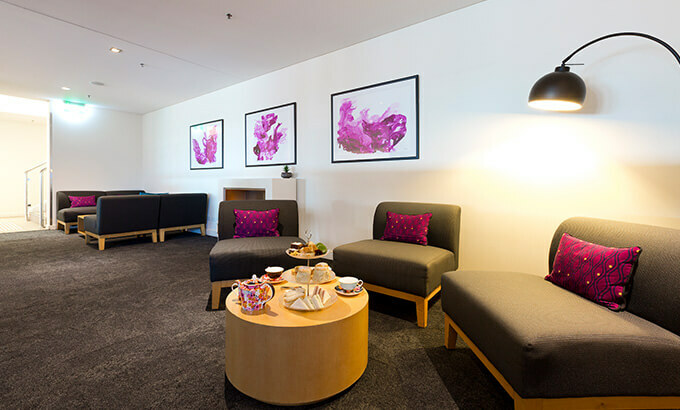 This inviting relaxed lounge space is situated on the 2nd floor overlooking our hotel lobby. 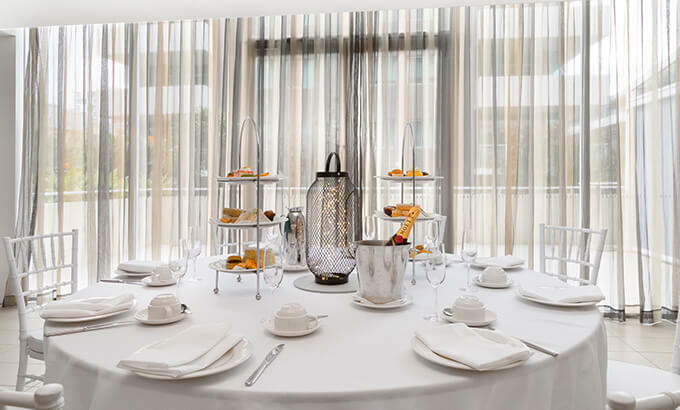 Ideal for long table dining, high tea or simple casual gatherings, The Loft provides you an exclusive, but open area space offering your guests connection to the hotel's lively social areas.